Many of you know I’m also a film critic. I got to see the great new Star Wars release on Monday, and there’s a review on our sister site, Cinema Siren. But for all you fans who want to read it who DON’T go on there regularly, it’s at the bottom of this article. *it’s verified SPOILER FREE by Michael Barry, who hasn’t seen the film and doesn’t want to know any plot points* If you don’t want to read it, you can stop at the art by Alex Ross and look no further on the post. The art of Star Wars has always been collectible. In fact, as many of you know, George Lucas has such a vast collection of art and artifacts from the saga, he’s building a museum to house it and his other fine fine art. My experience of people who collect Star Wars art, not just toys or models, is they are some of the most enthusiastic, geeky collectors of all fandom. They are notoriously obsessed with accuracy. 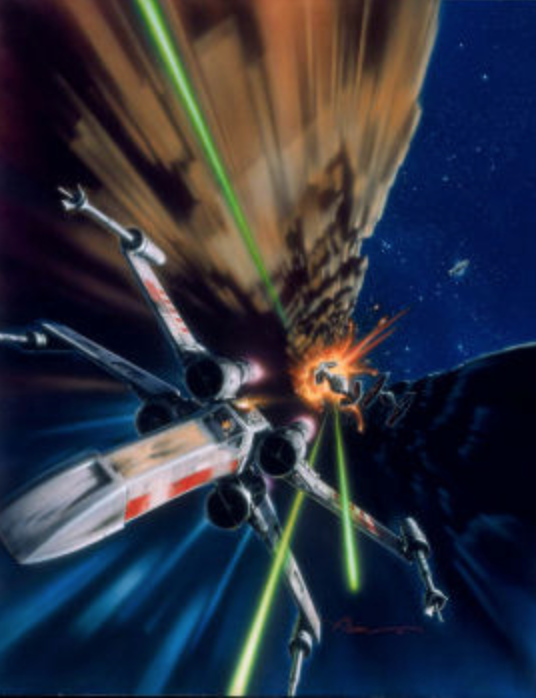 John Alvin created a number of images for the first three films, then for their re-releases and was thrilled to create the official images for Star Wars Celebration. He often referenced times when a fan would come up and tell them how he got everything about a particular ship or craft right, and it was always when he was at his happiest. He himself was an absolute Star Wars geek, and at the time of his death he left behind dozens of completely crafted, painted, and completed models of everything from X-Wings to the Falcon and various ships of the Galactic Empire. It’s why he was thrilled when LucasFilm came to him to create an image called “The Trench” as official art for their website. One of my favorite images John ever created as a limited edition is “There Will Be No Bargain”. At the time there was no official Star Wars art featuring Salacious Crumb. We created a piece that highlighted the characters in Return of the Jedi, but included Salacious Crumb as a main feature. Often when people come into the gallery and point out the piece, I’m temped to do my impersonation of his laugh (but I stop myself). Mike Kungl’s Star Wars art has been hugely popular, also because of the precision the artist used in creating his images. His work was so popular, it wound up being featured on the set of the Big Bang Theory. Even now, people come into the gallery and recognize his style from the show. 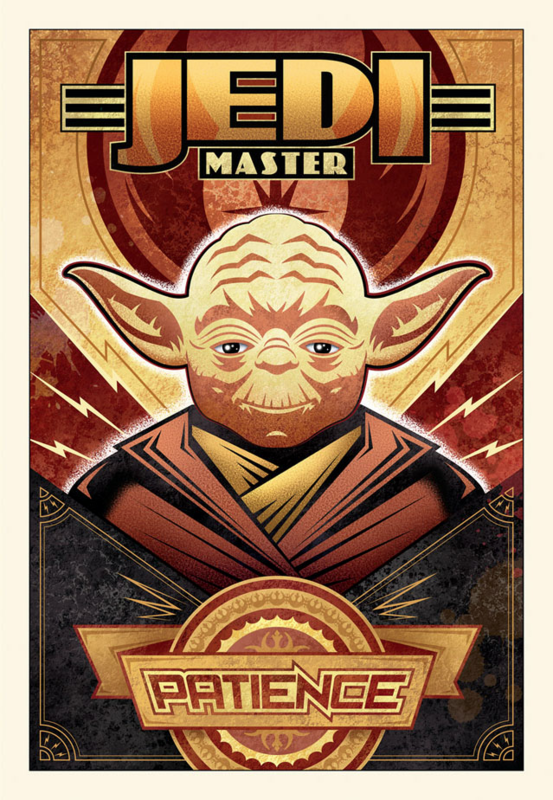 This “Patience” Jedi Master Star Wars limited edition by Mike Kungl is a reminder we’ve waited all year for The Last Jedi! We got Roger Kastel, who created the Empire Strikes Back poster to create art for us. At the time, he wasn’t even doing any illustration work any more, he was doing traditional paintings. 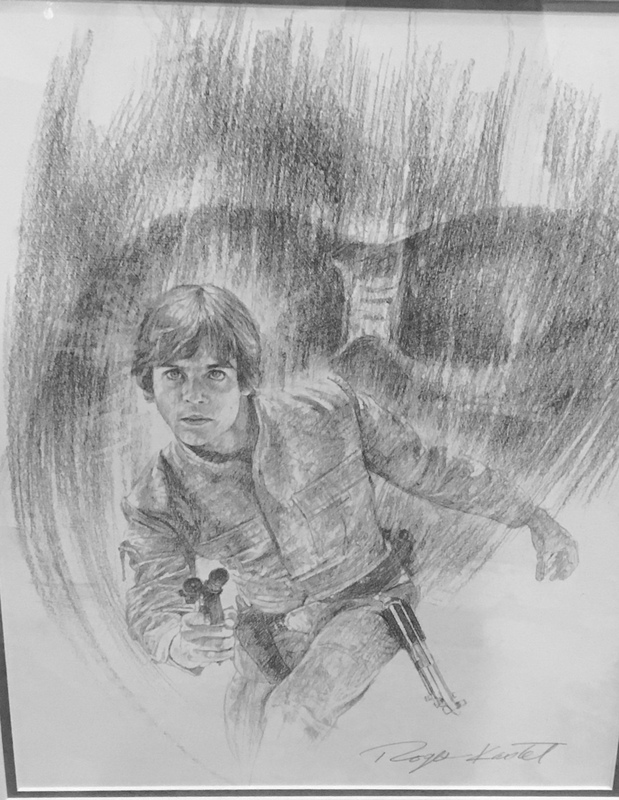 He created a number of graphite images based on both his work on Jaws and Empire Strikes Back. He stopped doing them some time ago, but we still have one. I did love working with him, and really his ESB image is by far the most iconic of the entire saga! As to new art, since we have felt strongly a long time about only working with artists who have create art for the actual campaigns or LucasFilm projects, we don’t sell a lot of art from the new movies. If one of the artists we know who worked on older films will do a commission, we will do those with our clients, or if artist Steve Thomas does something, we make an exception. 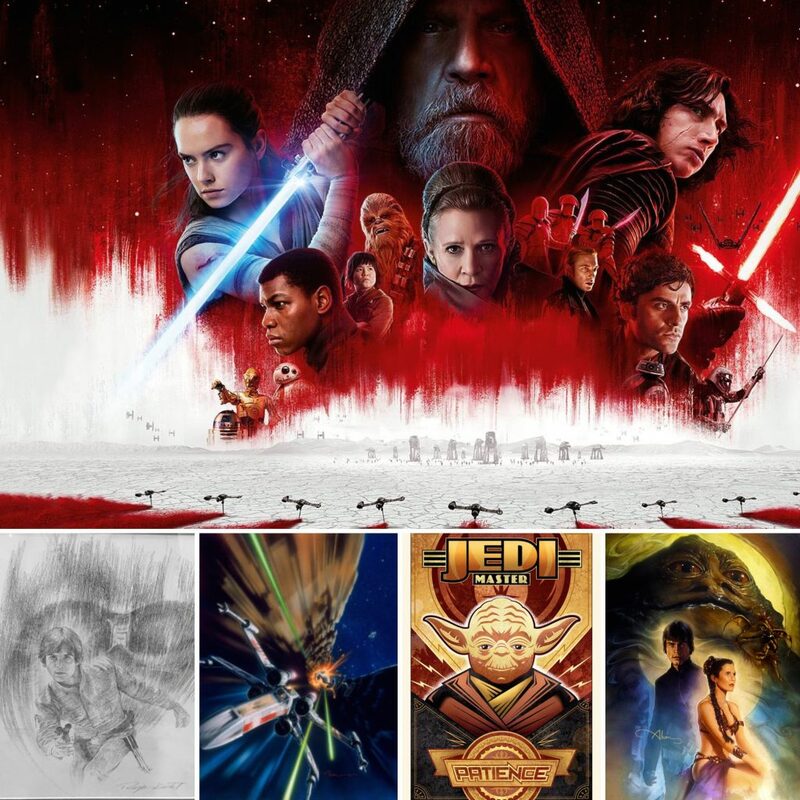 His advertisement-styled graphic images are very popular and reasonable for fans, and they are official Star Wars art, so we try to get as many as we can of those, because they generally get released at $89 and only go up a bit to $150 right before they sell out. 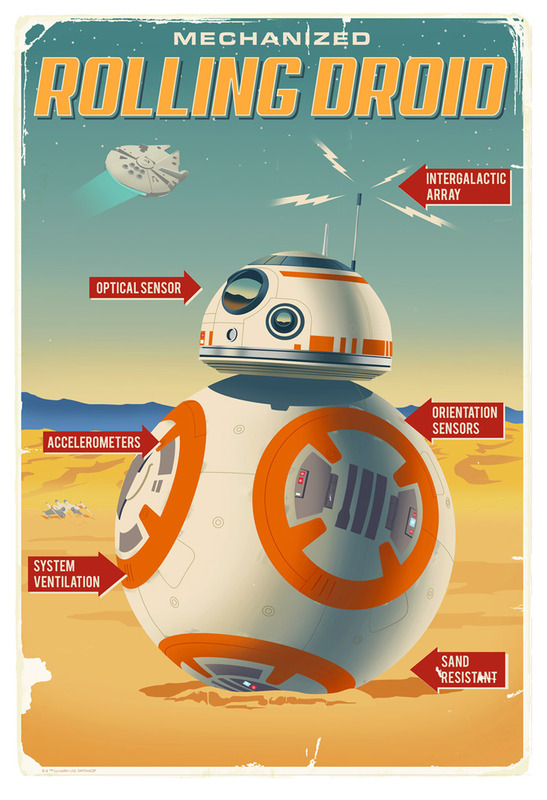 We have BB8 which sold out quite some time ago, but we have! We have this sold out Star Wars Rolling Droid limited edition by Steve Thomas! Alex Ross did a special piece that was for one of the comic books (still canon!) and we have that, too! 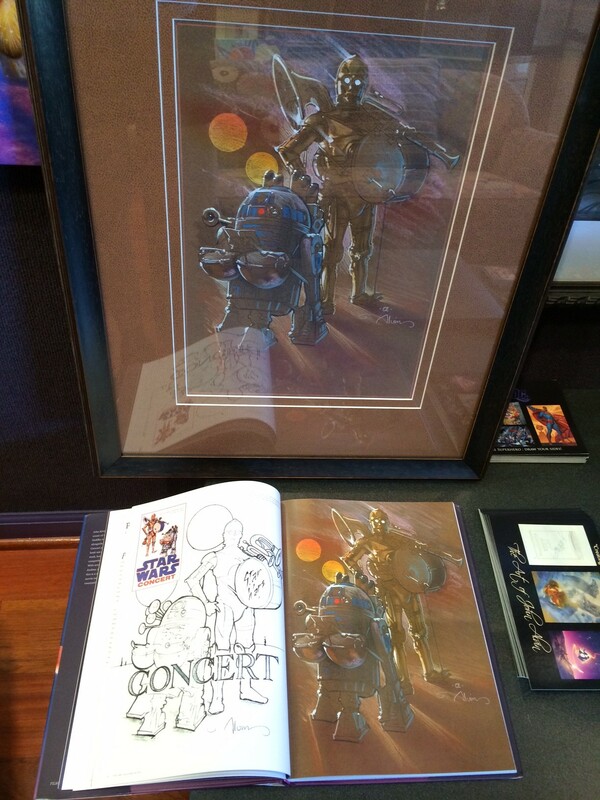 It’s a well-priced piece that was released for a convention, and we have it in the gallery. Our favorite scoundrel is front and center, as we remember him. 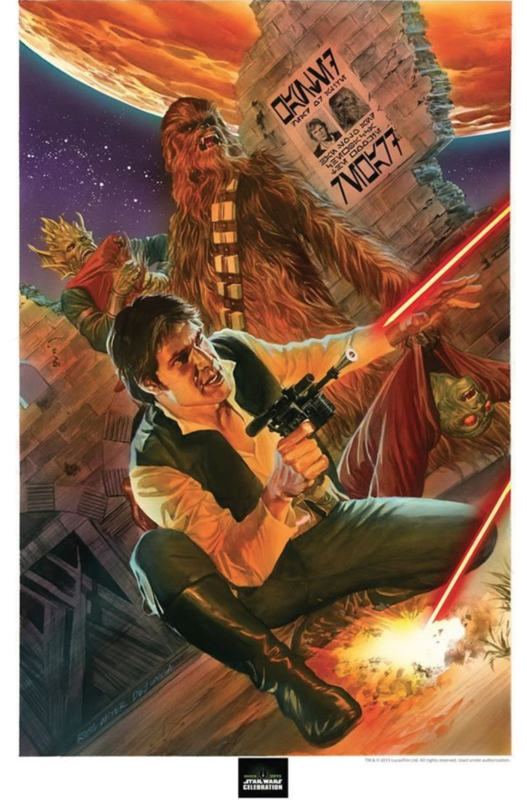 If you’d like to see all the Star Wars art we currently have, CLICK HERE. For those of you who are going to see the new movie soon, let us know what you think of it in the comments here or on our Facebook posting of this Spotlight article. NO SPOILERS, please! A Star Wars release always makes December even more the most wonderful time of the year! 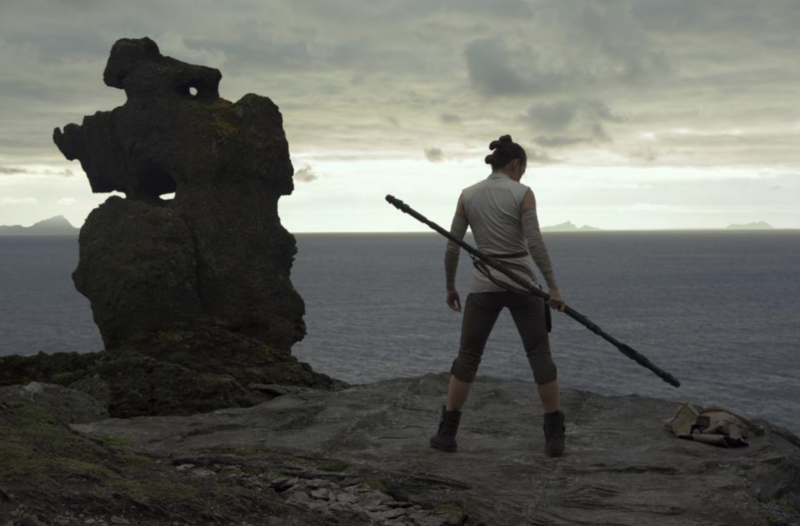 Star Wars: The Last Jedi is so good that it will thrill and surprise everyone from the first generation of fans to its newest recruit. It reaffirm to all the power of the force. This film, as written and directed by Rian Johnson, moves the saga forward dramatically, but in truth, it is all about character. It’s best not to discuss any plot points. Fans already know Luke Skywalker is in the movie, because he’s the biggest character on the one-sheet poster. Audiences will learn more about the characters they’ve always known and loved, and more about both the sophomore and freshman classes. 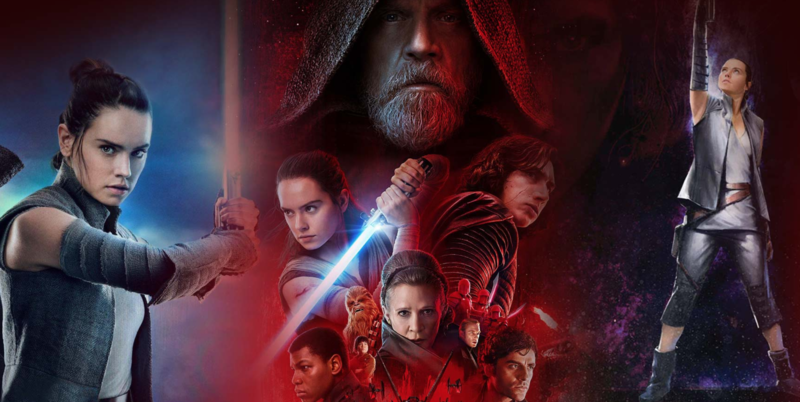 As to those from A Force Awakens, Poe, Rey, Kylo, and Finn equally get their chance to shine, and show the complexity and motivations of their characters. There are also some great new additions to the cast. 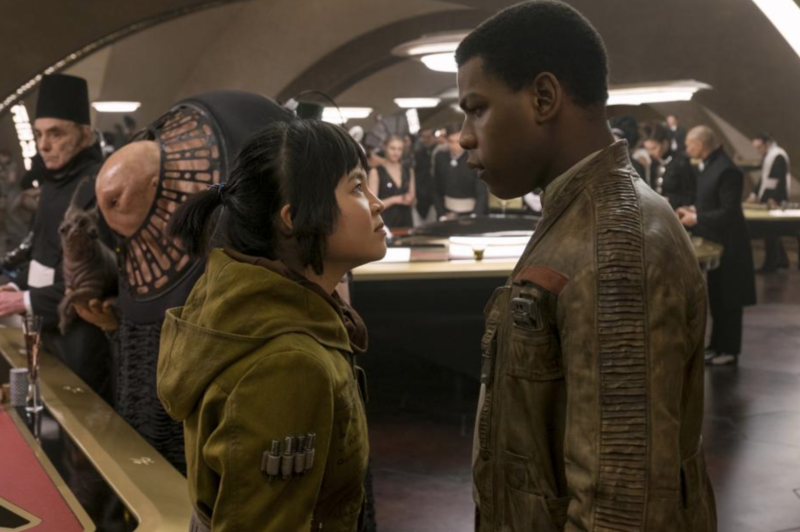 Most notable is Kelly Marie Tran as Rose Tico and the dynamic she brings to her scenes with John Boyega. In an interview, Tran talked about why. “From the beginning we clicked during the audition process. I don’t think there’s a better partner anyone could have when you’re going into a movie like this.” Their chemistry is undeniable. Kelly Marie Tran also talked about the continued theme in the Star Wars Universe of having strong self-aware female characters. “From the beginning, the Star Wars films have always been groundbreaking in that way. What keeps people interested is they continue to do so.” Another new strong female character portrayed by Laura Dern has a very interesting arc we see unfold in what almost feels like real time. 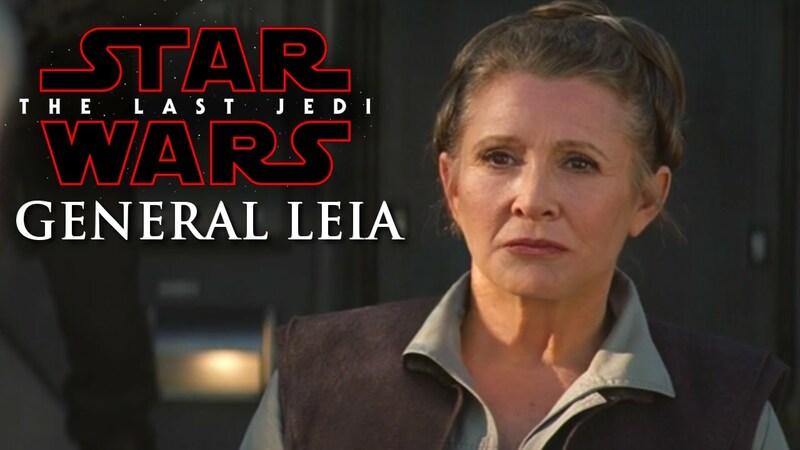 The potential for spoilers dictates no more is said about her role, or that of other Star Wars newcomer Benicio Del Toro, but they fold themselves and their storylines convincingly into the saga. With all the newer members of the cast, lovers of the franchise can rest easy about the old guard. Carrie Fisher’s Leia is luminous, as always. Her swan song took a 1977 ingenue albeit fearless princess, and turned her into both a general, and a powerful wise-woman. Even at that, it is Luke’s story that is most enriched, having several wow moments that legitimately rival the last act of A New Hope. As to the expanded diversity in The Last Jedi, it’s not something that hits the audience on the head, but really feels right. In a story where there is conflict and resistance, it makes sense that those who believe in freedom and equality would be coming from every perspective and gender, as well as a wide variety of alien species. Visually, the audiences are brought through everything from cityscapes, to deserts, vast galactic spaceships, and desolate island landscapes. Some of the most exciting scenes of dogfights in space take us through such spectacular environments they will make your eyes pop. Also, as one would expect, there are some spectacular sets, and, as has always been the case for the films of Star Wars, there is a great balance of the real and the digital. Says Johnson, “We had a huge amount of practical sets for this film. Part of the lived-in feel of Star Wars is something we really wanted to capture. At the same time, the other end of Star Wars is constantly pushing the envelope in terms of special effects.” “Rian’s script at first count had something like 160 sets,” said production designer Rick Heinrichs, (Pirate of the Caribbean, Beetlejuice), but they wound up with around 125 sets where it was filmed at Pinewood Studios in England, as well as other locations around the world. For example, they built a cave that was changed and relit to work for three other settings. There’s so much going on it’s almost impossible to remember the entire story (not that it would be shared in this review..) Which of course, may be a ploy to get audiences all to see it multiple times. At 2 hours and 23 minutes, it is definitely on the long side, and there are so many plot threads it feels like they could get knotted up in the viewer’s brain. It’s possible there’s an even better movie that could have been carved out in the editing room. However, a shorter film might have sacrificed the strong character development, which is what will remain with fans long after the credits roll. Lovers of Star Wars are incredibly lucky to have Johnson at the helm, who is clearly a super-fan of the saga. He took the stories, archetypes and mythology, and expanded and enhanced it in nearly every way.